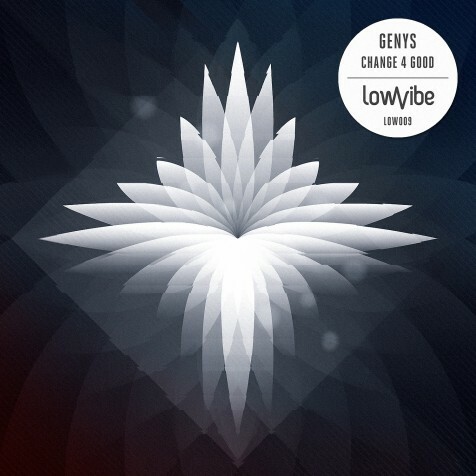 It’s been a while since Genys, the head of Lowvibe, put out his own solo release. As the title “Change 4 Good” suggests, he’s been through plenty of evolution since LOW005 “Everything Would Be Different” – and the world has moved on too. Genys has poured all this positive progression into his music. Moving from Vilnius to Berlin has influenced his sound but not dampened his spirit, so bounce to the bass and keep a smile on your face, because the times are truly changing. Reflecting the eternal positivity of Genys’ philosophy, this release opens up with a bright and jazzy wonkmobile, beats fracturing into synths and vice versa. An uplifting offbeat hihat completes the effect, slightly drunkstep but maybe he’s just high on life. An innovative experimental post-hiphop track made entirely with one custom plugin called Surge. Showing his pro engineering skills, Genys has pushed this VST to the limit, crafting kicks, snares and chords that fit together in a bass-heavy instrumental that swings and shouts for four minutes and twenty six seconds. Berlin crashes into the room with this straight 4×4 dancefloor remix of epic proportions, bass explosions finely crafted by beatmaker Comfort Fit. Completing Genys’ journey to Germany, this remix is destined to shake speakers across Europe. There are no upcoming releases right now. Freak Camp FREAK CAMP is a collective of DJs, producers, VJs and promoters from Berlin. Lowvibe organized parties at Panke club (Berlin) in collaboration with Freak Camp. Panke PANKE is a venue: a stream of ideas in Berlin (Wedding).